HAMBURG 2018: Offshore turbines with a capacity of 20MW and 250-metre rotor diameters are "perfectly feasible", said LM Wind Power senior director John Korsgaard. Speaking at a conference session exploring the rapid growth in power ratings and rotor blade lengths, Korsgaard said that he could see no technological reasons why these figures could not be achieved, but pointed that it will require the development of key innovations. These include: progress in production, transportation and installation techniques, high-strength and low-cost material combinations, and advanced aerodynamic blade control features and control systems to reduce loads. "Cost models will determine how big turbines will become," he said. 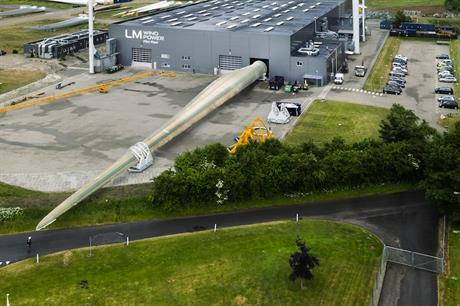 LM Wind Power is currently working on the 107-metre blades for the 12MW GE Haliade-X offshore turbine. "The design has been fixed and we are preparing for production," he said. "We will deliver the first blades next year." Korsgaard pointed to the industry’s need for the right infrastructure to support production. "There is no place in the world that can currently test a 107-metre blade," he said.